Hiring snow gear has never been this easy. Falls Creek Sports is conveniently located on the ground floor at Silverski. Silverski is taking ski-in-ski-out to a whole new level. 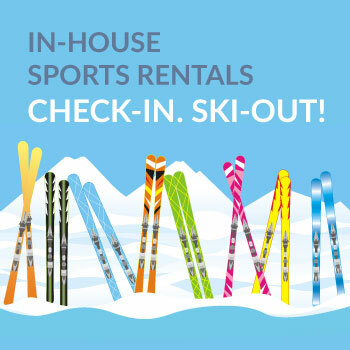 Check-in to your room, pick-up your rental gear from our in-house Falls Creek Sports outlet and ski straight out the door! Stroll from your room to rentals without the hassles of lugging all your boots and personal belonging across the village. Book your stay with Silverski, then book your snow rentals with Falls Creek Sports. then book your gear with Falls Creek Sports. Subscribe and get discounts on every stay!